Located in Albufeira, this unit is 350 metres from Oura Beach. 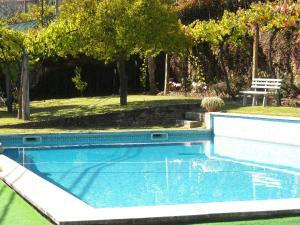 Three Bedroom Apartment - Bicos T features access to a green garden, sun terrace and an outdoor swimming pool. The Albufeira Old Town is an 8-minute drive and features several restaurants, popular shops and bars..
Aqua Pedra Dos Bicos - Adults Only - Design Beach Hotel price per day from € 128 Set in a Mediterranean pinewood facing the Atlantic, this design hotel offers accommodation with massage facilities. It features an outdoor pool and has direct access to a beach only 400 metres away. There is a TV with cable channels and en suite bathrooms equipped with hairdryer. 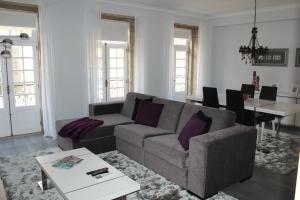 Two Bedroom Apartment - Bicos S Located in Albufeira, this unit is 350 metres from Oura Beach. The nearby beachfront area has several restaurants, most serving traditional fish courses. Faro International Airport is a 39-minute drive away from Two Bedroom Apartment - Bicos S..
Bicos 303 Located in the centre of Santa Eulália - Oura in Albufeira, this unit is 300 metres from Oura Beach. The unit has 2 bedrooms and 2 bathrooms, along with a living room which features cable TV, free WiFi and DVD player. 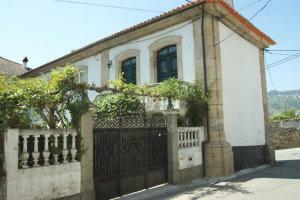 Praia da Oura By InSuites This studio was recently renovated and is located just 200 metres from popular Oura Beach. Featuring accommodation in a sofa bed, the cosy apartment has a cable TV and a seating area. For golfing enthusiasts, the nearest golf course is a 7-minute drive from the property..
Vila Santa Eulália price per day from € 495 Vila Santa Eulália is a 6-bedroom villa in Santa Eulália with an outdoor swimming pool, spa bath and a garden. It offers billiards and a large living room with floor-to-ceiling windows overlooking the Atlantic Ocean. There is a dining area and a fully equipped kitchen with an American-style refrigerator and a small breakfast area that opens to the interior garden terrace..
Town of Caliços (~0.8 km). 101+ villas/holiday houses ! Town of Areias De Sao Joao (~1.7 km). 68+ apartments ! Town of Correeira (~1.8 km). 63+ villas/holiday houses ! Town of Brejos (~2.9 km). 6+ apartments, 19+ villas ! Town of Ferreiras (~4.5 km). 24+ accommodation units !